This article has been created in order to help you to remove the W32.Rarogminer completely from your computer and stop it from mining Monero on your computer. The W32.Rarogminer Monero miner is the type of worm which you do not want to have on your computer. It’s primary purpose is to mine for the cryptocurrency Monero at the expense of the resources of your PC. This may immediately result in your computer significantly slowing down in terms of performance and becoming no longer responsive at times. If you see the W32.Rarogminer detections or a fake lsass.exe process to overuse the CPU of your computer, we recommend that you read the following article and learn how to remove this worm infection from your PC. 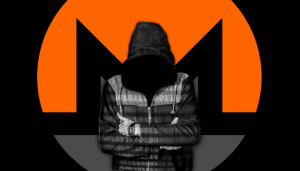 Short Description Malicious worm which infects users from computer to computer to use the resources of the systems infected by it to mine for the cryptocurrency Monero. Symptoms The virus runs a compromised version of lsass.exe process which may use most of your CPU’s power to mine for the cryptocurrency Monero. Distribution Method Creates copies of itself to removable drives, by using .inf and .exe files. User Experience Join Our Forum to Discuss W32.Rarogminer. The main methods used to propagate the W32.Rarogminer on the computers of victims are self-replicating, meaning that the malware is spread from an infected computer to another infected computer through removable drives. And the worm does not perform this action once, but regularly each time you insert a flash drive, external HDD or any other external memory carrier. When the infected removable drive is connected to a clean device, the worm starts it’s infection activity. If detected, the worm temporarily closes until the next time it’s ran on Windows boot. Download files and start them. Open web links on your browser. Perform DDoS attacks to targeted networks or PCs. Shut itself down and delete itself. Start itself once it has shut down. Perform self-update operations to keep it’s malicious files hidden. The worm downloads the file in a randomly named folder within %Program Data%. From there, the malware may begin to perform the so-called hashing operation, which results in cryptocurrency tokens from the Monero cryptocurrency being generated. As the number of infected computers rises, the faster it becomes to generate tokens. The tokens are then sent to the wallets of the cyber-criminals, making them richer and richer at the expense of the victim’s CPU and GPU resources. And not only this, but if it remains for longer periods of time on your computer, slowing down of it’s performance may be your least important problem. The virus may have an actual capability of breaking down your computer’s components as a result of overheating them. In order to remove this cryptocurrency miner completely from your PC, we recommend that you follow the removal instructions underneath. They are specifically created to help you get rid of this virus either manually or automatically. If you lack the experience to manually make sure this virus is gone, experts strongly recommend the safer method for removal – downloading and scanning your PC with an advanced anti-malware software. Such will effectively make sure that your PC is secured against future infections and intrusive programs as well. Threats such as W32.Rarogminer may be persistent. They tend to re-appear if not fully deleted. A malware removal tool like Combo Cleaner will help you to remove malicious programs, saving you the time and the struggle of tracking down numerous malicious files. Threats such as W32.Rarogminer may be persistent on your system. They tend to re-appear if not fully deleted. A malware removal tool like SpyHunter will help you to remove malicious programs, saving you the time and the struggle of tracking down numerous malicious files. Note! Your computer system may be affected by W32.Rarogminer and other threats. SpyHunter is a powerful malware removal tool designed to help users with in-depth system security analysis, detection and removal of threats such as W32.Rarogminer. 1. Install SpyHunter to scan for W32.Rarogminer and remove them. 2. Scan with SpyHunter, Detect and Remove W32.Rarogminer. Ransomware infections and W32.Rarogminer aim to encrypt your files using an encryption algorithm which may be very difficult to decrypt. This is why we have suggested several alternative methods that may help you go around direct decryption and try to restore your files. Bear in mind that these methods may not be 100% effective but may also help you a little or a lot in different situations. Note! Your computer system may be affected by W32.Rarogminer or other threats. Remove W32.Rarogminer by cleaning your Browser and Registry. Fix registry entries created by W32.Rarogminer on your PC. Combo Cleaner is a powerful malware removal tool designed to help users with in-depth system security analysis, detection and removal of threats such as W32.Rarogminer. Step 5: In the Applications menu, look for any suspicious app or an app with a name, similar or identical to W32.Rarogminer. If you find it, right-click on the app and select “Move to Trash”. Step 6: Select Accounts, after which click on the Login Items preference. Your Mac will then show you a list of items that start automatically when you log in. Look for any suspicious apps identical or similar to W32.Rarogminer. Check the app you want to stop from running automatically and then select on the Minus (“–“) icon to hide it. Remove W32.Rarogminer – related extensions from your Mac’s browsers. A pop-up window will appear asking for confirmation to uninstall the extension. Select ‘Uninstall’ again, and the W32.Rarogminer will be removed. When you are facing problems on your Mac as a result of unwanted scripts and programs such as W32.Rarogminer, the recommended way of eliminating the threat is by using an anti-malware program. Combo Cleaner offers advanced security features along with other modules that will improve your Mac’s security and protect it in the future. Hey !, I found this information for you: "W32.Rarogminer Monero Miner Worm (lsass.exe) – How to Remove It". Here is the website link: https://sensorstechforum.com/w32-rarogminer-monero-miner-worm-lsass-exe-remove/. Thank you.